If boating is an interest of yours, then you would surely have tried out boat design kits that only need you to assemble the parts like a jigsaw. For those who prefer a challenge, the process of how to build a boat means doing everything from scratch. This includes buying your own materials and measuring, cutting and joining them to build a vessel worthy of the high seas. 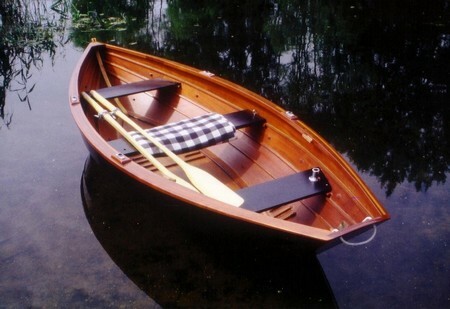 Boating enthusiasts generally use one of two techniques when building their own plywood boats. The first method is the more traditional play-on-frame. This uses wooden frames, also known as ribs. Ribs are usually straight-sided, but can also be curved in older boat designs. Curved ribs tend to complicate boat construction. Ribs are usually positioned with a construction jig and the boat is built in such a way that the hull is actually assembled upside down. Learning how to build a boat with ply-on-frame construction is extremely labour-intensive. After the ribs are positioned correctly, longitudinal frame elements are attached via notched slots. The first frame element attached is the keelson, and is attached running down the center of the ribs. A vertical piece, the stem, is attached to the front of the keelson, forming the boat’s prow. Two sheer clamps are attached longitudinally along either side of the upper edges of the hull. Two more frame elements, chine logs, are attached to the curve of the ribs that marks the transition from hull bottom to hull side, or chine. Sometimes, additional pieces may be needed to complete hull framing. Joints in the frame used to be glued, screwed or bolted together. Nowadays, newer adhesive such as epoxy and polyurethane adhesives are available to modern amateur boat builders. These are better for bonding joints as they are capable of filling gaps and attaching joints together even if the joints are improperly matched. Once the frame is completed, the plywood planking needs to be leaned against it, cut slightly larger than the final size, and assembled. 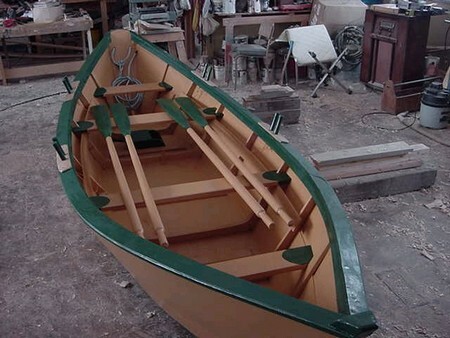 The glued, screwed or nailed-together planking is then trimmed to fit the frame before the boat is finished with fiberglass or epoxy for strength and water-tightness. A second method of boat construction is the stitch-and-glue method. Frames are not used when people learn how to build a boat in this manner. Instead, panels are cut out from plywood planking to form the shape of the hull. All the pieces cut out are based on a template either obtained from a designer or one that the builder drew. Adjacent panels are attached via a row of small holes drilled close to the each. Nylon tie-wraps or copper wire are used to “stitch” the panels together this way. The “glue” part comes into play when an epoxy compound that has been thickened with microspheres or silica is applied to the “stitched” joints before fiberglass tape is used to tape it over.